Walking with my family and some friends through the campus of Yale University, we come to the secluded courtyard of Vanderbilt Hall. 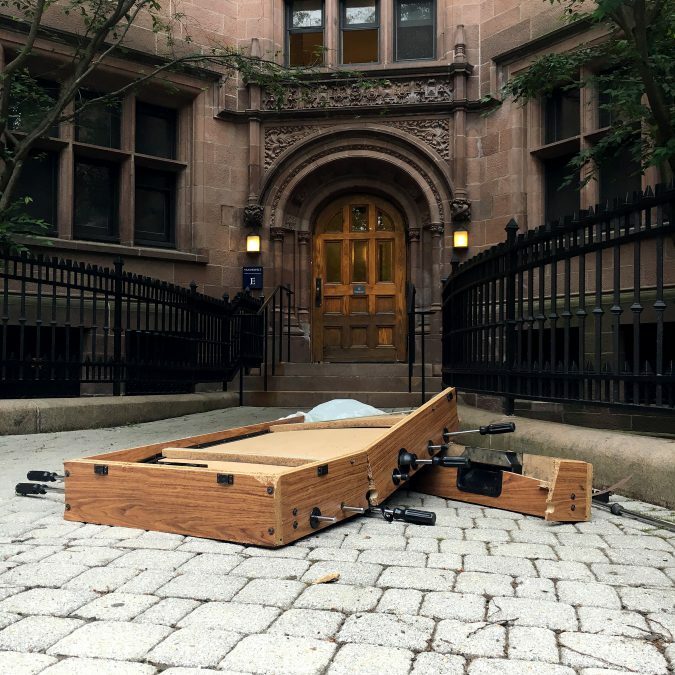 Our kids are running around and climbing on everything when we notice the broken foosball table resting underneath a beautiful tree. This being a Saturday “morning” it is pretty quiet except for a few visitors wandering around the Old Campus. I doubt this is an art installation as there are a few other discarded objects and pieces of trash strewn about the courtyard. Therefore, I must ask…what happened last night for the table to incur such damage?